Less than five minutes of innocent horseplay and riding piggyback in college ended with Ruth Olsen being slammed through drywall, crumpled under a 175-pound man. Although none of her bones broke, she had injured her pelvis, spine, and neck, with severe soft tissue and nerve injuries that left her unable to work and extended her undergraduate years. Three years later, after she was about 70 percent recovered, an 18-wheel semi-trailer truck T-boned her Honda Accord. She miraculously emerged, again, with no broken bones—but was back to the beginning of her recovery. It’s been more than three decades, but Olsen’s recovery still isn’t complete. She knows it never will be. 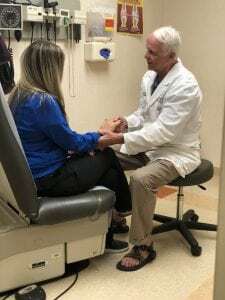 “I’ve been in pain every day for almost 28 years,” said Olsen, 56, who struggles with chronic fatigue and a chronic pain syndrome called fibromyalgia. She’s a freelance editor now, but it took years after her accident to even believe that she would be able to work. “My life was hugely taken up with just managing this,” she said. While she used to work 60-hour weeks, now she’s had to learn to manage work around brain fog, trouble sitting for even an hour at a time, and pain in her hands, arms, back and neck. Olsen’s story is unique, but her chronic pain isn’t. Nearly half of Americans (117 million adults) suffer from some kind of chronic illness—such as arthritis, obesity, diabetes, or Celiac disease—as of 2012, according to the Center for Disease Control (CDC). About a quarter of those people have conditions that limit some sort of daily activity. It’s even more complicated when you consider that people with chronic illnesses don’t usually suffer from a singular disease. Often several conditions are intertwined, along with a higher occurrence of depression or other mental health struggles than the general population. Chronic illness brings with it a plethora of difficulties—financial stress from medical bills, emotional and spiritual challenges in maintaining a hopeful outlook, or relational strain due to fatigue or self-focus, said Frank Mancuso, clinical director at The Center for Christian Counseling & Relationship Development in Marlton, New Jersey. Finishing a degree, or holding down a job of any kind, can seem daunting. Lana Clough is a counselor in a rural area in southern Maine, with a background in social work at a cancer center. In her 25 years of practice, she’s seen various symptoms affect her patients’ ability to work—pain issues, low energy, brain fog and fading stamina, and depression, among others. If someone is able to keep working full-time, that might be her only activity for the day. Clough encourages her patients to a blend of hope and acceptance. Pointing to the apostle Paul’s “thorn in the flesh” in 2 Corinthians 12, Clough observed that he first prayed for healing, and then he accepted his condition: “Therefore I will boast all the more gladly about my weaknesses, so that the power of Christ may rest on me. For the sake of Christ, then, I am content with weaknesses, insults, hardships, persecutions, and calamities. For when I am weak, then I am strong” (2 Cor. 12:9–10). “Once people come to some sort of measure of peace and acceptance, they can be more open to what God might really have for them,” she said. Dr. Jim Halla, a rheumatologist and Christian counselor in South Carolina, encourages his patients to slow down, telling them that “life doesn’t have a ‘life of its own,’ it’s all God’s providence.” He tries to help them prioritize the goal of pleasing God. “God may have changed the direction of your ministry or the people involved, but he hasn’t removed your ministry,” he tells his patients. Katey Benton had both ovaries removed by age 27. She worked through hormonal treatments for menopause and was starting to manage her routine again when doctors discovered she had stage 3 carcinoid lung cancer. “Now I see I was collecting all these pieces for a bigger mission God is going to use me for,” Benton said. She went to culinary school—she can’t be a chef, but she can offer nutritious recipes for those with chronic illness. She worked in advertising, so knows how to promote her message. 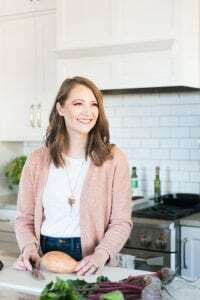 Figuring out the work God has for you is “common to all Christians, whether you’re working a 9-to-5 or being a firefighter or staying at home figuring out what you’re doing next,” said Caley Goins, a 25-year-old with an aggressive from of ulcerative colitis. People with chronic illnesses need grace—both saving and sanctifying grace—and growth, Halla said. “Growth is the use of that grace as the believer more and more imitates Christ. He becomes more Christlike as thoughts, desires, and actions change. The believer embraces and enjoys God and his providence. Only the believer can engage in such a countercultural and counterintuitive activity.